I’ve taken a bit of a hiatus lately. Not intentionally, but because the newest little addition of our family has made me desire more sleep and less writing. Thankfully as the second trimester shines in the distance I am beginning to feel human again (and by that I mean awake) and the itch to write has returned. With the onslaught of morning sickness (but really all day sickness) and a very busy toddler I’ve been letting a lot of things slide. I washed the laundry, but it stayed on our couch for a week; I made dinner, but I keep forgetting vegetables because all I can think of is salad but now the smell of salad is like compost to me; I can roll myself out of bed 15 minutes before James is up, and ‘make’ a breakfast of yogurt. And poor Burk hasn’t had a real lunch yet. Folks, I am not successful by any stretch of our human standards. I rejoice because I know Jesus, I know that where I am weak, he is strong; and where I am an utter failure, he is great. And I can lean on him for strength to do even the tiniest of tasks. I can wear out the knees of my jeans in prayer (except who am I kidding, it’s been only running shorts for weeks) because seeking Jesus and his word is the only thing that will help me teach my son what life is really about, and it is the only way I have anything left to encourage my husband and support him in his demanding career. The laundry may still be in a pile, and we still haven’t had much in the line of vegetables, but I rejoice because my son loves to listen to us recite John 3:16, and I can welcome my husband home after a difficult day, and I can continue to grow a beautiful little human, all by nothing more then the strength of Jesus. This Jesus who laid down his life for me and all my sins and failures, and rose again so that I can have new life in him, where I live by his great strength and not my own. Thank goodness, because my strength is so weak. 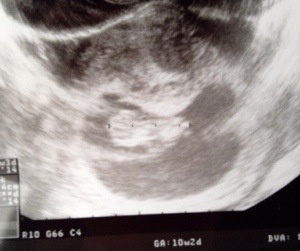 And in case you all were wondering, yes, this is our official announcement of Baby S #2 due in August. I’ll try to be on top of posting before he/she gets here, because we all know I won’t be writing for a while after that. I haven’t forgotten about my current series, and will hopefully be returning to it again in the coming weeks. Ah so much true in these words. Thank you for writing. Love you so much!! !